Dolphin vs Dolphin- BLOOD FOR THE BARON!!! Same character, but different squad. I have a retcon strip in mind, set during the events of World Enemy Number One which will explain how Dolphin, Moondancer and Red Wolf made the transition. Steeler too, Baron? Or are you keeping him Z? Newest Dolphin is V3, how cool is that? An AF first. Hadn't planned on it as Steeler wasn't re-released in the UK. He was the only series 2 AF character to become a Joe (technically speaking), so it'd be cool to see his transition I think. 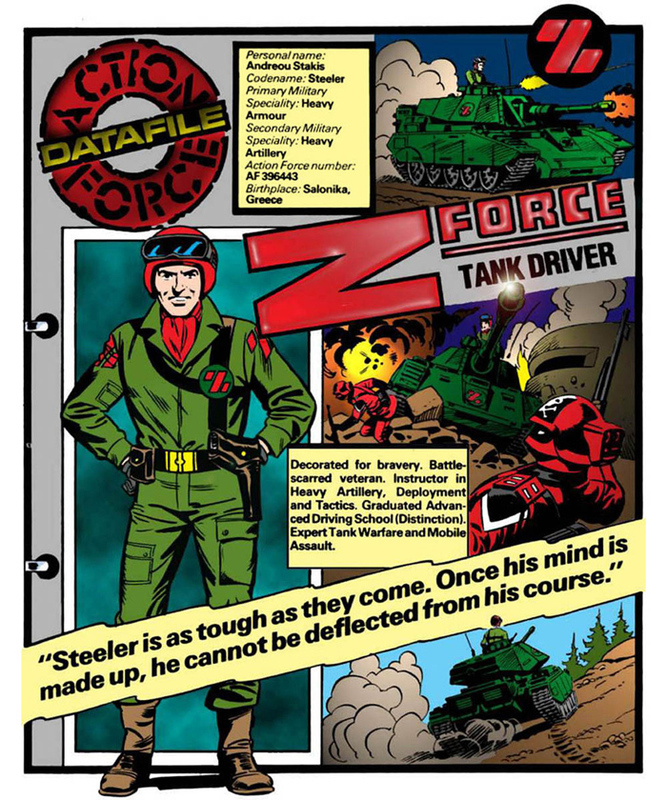 Not really... Z Force Steeler is Greek, Joe Steeler is American. Yes and no. I still consider AF bios first, then Joe. I.e series 3. Are they the same characters or not? Or is this just a silly round about question with no real answer? The fact that we have had 2 years of S/AF in GI joe land raises the question again, I guess. Ok, putting it simply. 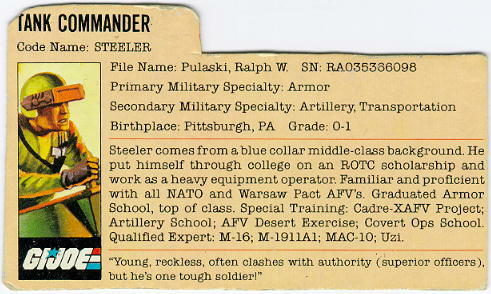 Steeler was the only series 2 AF to have a post AF counterpart. Most of series 3 had post AF (Joe) counterparts. So do you think that Duke and the lads became Joe's, it was an alternate verse or they were different characters? So does this apply to Steeler? Fortunately with Dolphin and Moondancer (Ton up too I guess) they can be added or subtracted very easily because they have no contradictory counterparts. How say you, mighty Baron?